The restrictions on chemicals under the REACH legislation and the impact this has on the supply chain. Prior to the implementation the REACH Regulation (1907/2006) in Europe, restrictions on substances in consumer products were published as amendments to the European Marketing and Use Directive (76/769/EEC). These amendments became a basis for Restricted Substances Lists (RSLs) produced by many of the major brands and retailers. During 2009, these decisions were placed into Annex XVII of REACH and became part of the regulation. Annex XVII contains 64 chemicals or groups of chemicals that have restrictions placed upon them. Not all of these chemicals are applicable to the materials used in consumer goods, such as furniture, clothing, personal protective equipment (PPE), toys and apparel. Although not an exhaustive list, the following chemicals make a good starting point when considering which Annex XVII chemicals might be present in leathers, textiles and polymers. As such, their presence in the supply chain should be evaluated to ensure that product reaching the European market is in compliance with the REACH mandatory legal requirements. Azo dyes: textiles and leathers that are dyed and are in prolonged contact with the skin need to be free from certain azo dyestuffs that can break down to form carcinogenic aromatic amines. Nickel: Metallic trims in contact with the skin should not release nickel at a rate in excess of 0.5µg/cm2/week. This requirement applies to accessories such as buckles, zips, trims and eyelets, where there is skin contact or potential for skin contact during foreseeable use. 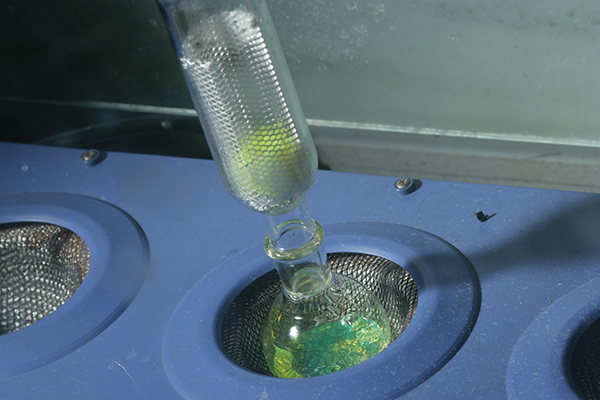 Cadmium: Certain polymers should not use cadmium-based salts as pigments or stabilisers. This includes polyvinyl chloride (PVC) and polyurethane (PU) which are commonly used in coated textiles. Since January 2012, there has also been a restriction on the amount of cadmium contained in metals parts of jewellery, but this does not apply to antique jewellery. Perfluoro-octanyl sulphonate (PFOS): The European Union has placed restrictions on the use of PFOS which was originally included in Annex XVII, but are now restricted in the Persistent Organic Pollutants regulation 850/2004. Common applications for this substance include waterproofing and stain resistance treatments on leathers and textiles. PFOS shall not be present in textile and coated materials in quantities greater than 0.1µg/dm2, or more than 0.1 per cent in other materials. Where materials are specified as having stain-resistant or water-resistant properties, it is important to ensure that information is available on which chemical treatments have been applied. The Norwegian government has restrictions on the related compound perfluorooctanoic acid (PFOA) that came into force on 1st June 2014. Organotins: These have had a wide range of uses, including catalysts and anti-microbial compounds. Restrictions have been introduced on the use of some of these compounds, the first deadlines for ceasing supply of product which contain tri-substituted alkyl tins came into force in 2010. Organotins can be found in polymeric, textile and leather materials. Pentachlorophenol (PCP): Pentachlorophenol is an anti-fungal agent that has been restricted for sale in preparations since 1991, with a maximum amount of 1,000mg/kg. However, in some regions (such as Germany), more stringent limits (a maximum of 5mg/kg) are placed on its inclusion in finished materials and this lower limit is commonly found in RSLs. 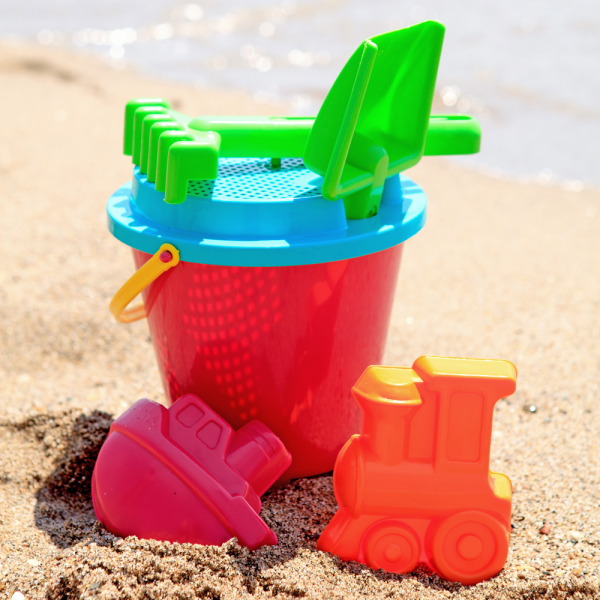 Phthalates: The restrictions on phthalate plasticisers under Annex XVII of REACH apply only to toys and childcare articles. They are very similar to the restrictions introduced under section 108 of the American CPSIA regulations, in which shoes and apparel have been explicitly exempted. The sum of DEHP (Bis (2-ethylhexyl) phthalate), DBP (Dibutyl phthalate) and BBP (Benzyl Butylphthalate) must be below 0.1 per cent. Also, there are additional requirements for children’s items that can be placed into the mouth. These must not contain more than 0.1 per cent of DINP (Di-ido-nonyl phthalate), DIDP (Di-iso decyl phthalate) and DNOP (Di-n-octyl phthalate). Dimethylfumarate (DMFu): This biocide was originally restricted by an emergency ban under the EU General Product Safety Directive after it was implicated in dermatological reactions in a number of furniture items. It was included in Annex XVII in 2012 and its presence is restricted to 0.1mg/kg in articles. Lead: The amount of lead is restricted in any individual part of jewellery articles above 0.05 per cent (500mg/kg). The definition of 'jewellery' includes decorative items such as bracelets, wrist watches and cufflinks. Chromium VI: In March 2014, regulation 301/2014 was published. Then, on 1st May 2015, the current chromium VI Annex XVII entry that applies only to concrete cement products was extended to include leather products in contact with the skin. Hexavalent chromium is recognised as a potential dermatological irritant and is not permitted in leathers used in personal protective equipment (PPE). For this reason, chromium VI will not be allowed in leather in contact with the skin above 3mg/kg. Polycyclic aromatic hydrocarbons (PAHs): These are organic molecules that consist of two or more adjacent aromatic rings. They can be found in coal, crude oil and petrol, and can be formed during the incomplete burning of fossil fuels. Carbon black is manufactured using incomplete combustion, hence REACH Annex XVII entry 50 applies to rubbers and plastics, as carbon black is commonly used as a pigment. Eight PAHs are restricted due to their association with an increased risk of causing cancer. The inclusion of a substance in Annex XVII places a legal obligation on suppliers of articles to only place compliant product on the market. The responsibility lies primarily with the importer (into the EU/EEA) or manufacturer (in the EU/EEA). However, retailers should satisfy themselves that they have a mechanism for ensuring the compliance of the products they sell. One mechanism for demonstrating compliance is through a programme of check testing. SATRA’s chemistry laboratory team can advise on the substances applicable to particular products and which tests should be carried out. Testing, however, is not the only mechanism for demonstrating compliance. Other methods include the thorough and comprehensive auditing of raw materials and production processes, defining a comprehensive RSL which is communicated and explained throughout the supply chain and by requesting and reviewing supplier declarations. SATRA staff can help by providing training, consultancy, testing and interpretation at all stages of the supply chain. Please contact chemistry@satra.com for further information.